Today we are pleased to feature Smallicons, a set of 54 flat icons. If you are looking for a way to make your design fresh and expressive, then this freebie is the answer. 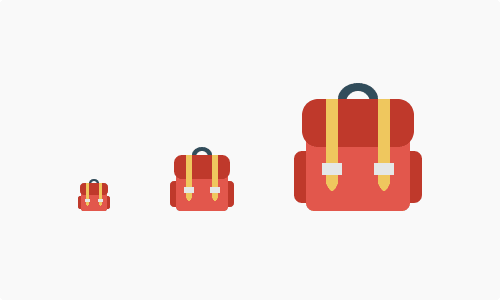 Today we are pleased to feature Smallicons, a set of 54 flat small icons. If you are looking for a way to make your design fresh and expressive, then this freebie is the answer. The set was created and designed by Nick Frost and Greg Lapin of Smallicons. The freebie includes 36 icons drawn from a full commercial set available on Smallicons, plus 18 icons designed exclusively for Smashing Magazine. 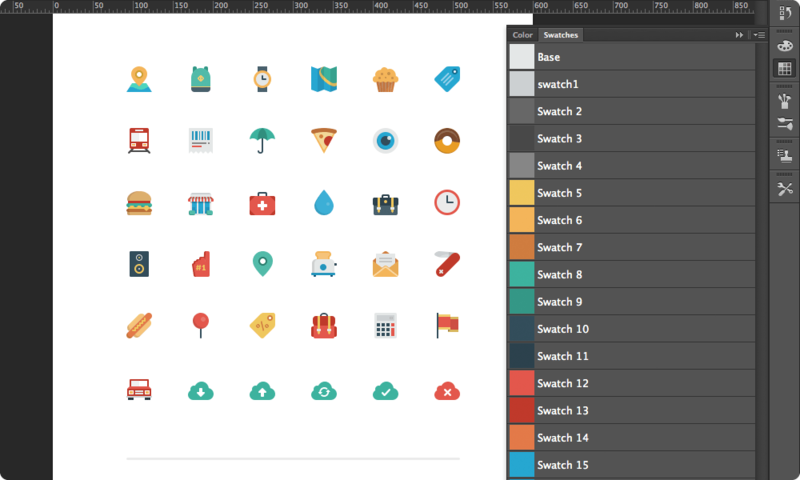 The small icons were made using Photoshop vector shapes and are available in different formats, giving you maximum convenience and saving you time for more creative tasks. The PNG files come in two dimensions (32 × 32 and 64 × 64 pixels). The set also includes swatch files, so that you can select colors in Photoshop using the color swatches palette. Smallicons is released under the Creative Commons Attribution 3.0 Unported licence, freely available for personal and commercial projects. Smallicons is a fully scalable set. Nothing’s easier than customizing Smallicons with the embedded color swatches! When you start to design in a flat style, it can be hard to stop — harder than you think! That is exactly what happened to us when we designed the icons for Smallicons. It turned into a big project, which we hope will help designers and other professionals whose work is based on graphics one way or another. Thank you, dear Nick and Greg, for creating this beautiful set! We appreciate your work and efforts!